Amidst all this, your body is also getting used to the post-partum changes. Relax! The more relaxed you are the more easier it is to get used to this new experience. While some new mothers get used to these changes with least difficulty, some others have common issues like flatulence or gas production in the beginning days. Well, they say that ‘Old is Gold’ and grandma’s recipes are the best! The regular spices on your kitchen rack are beneficial to overcome these common ailments and tingle your taste buds too. Turn to Nature’s... it has the power to heal, so keep our eyes wide open and heal yourself with its bounty. Try recipes like Fennel Tea, Ajwain Water, Jaggery and Dried Ginger Balls, Phudina Pani and so on… Yet another way to include them in your diet is in the form of a Mukhwas. Chew on this mukhwas at any time of the day to aid digestion along with enhancing breast milk production. These recipes are simple, homely and easy to cook and are sure to help you. Here’s wishing all new mothers a Happy and Healthy Post-Partum recovery! 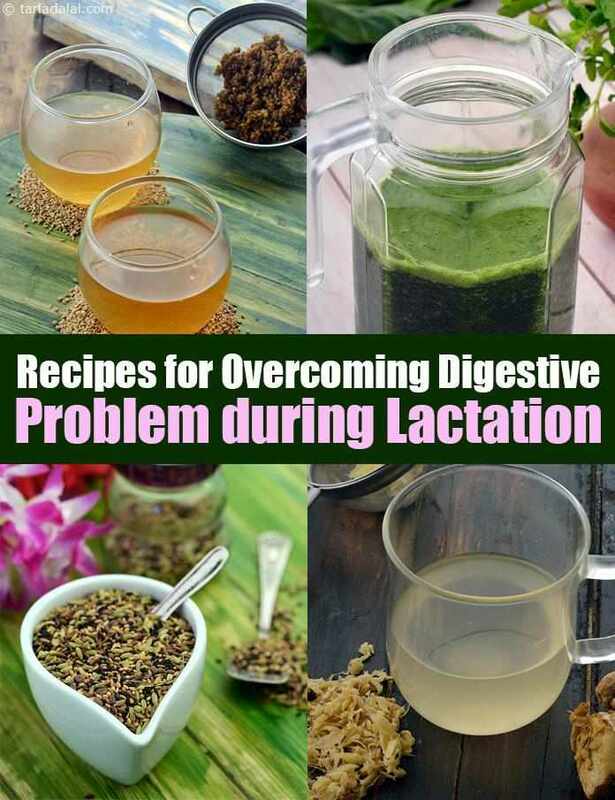 Enjoy our Recipes for Overcoming Digestive Problem during Lactation, Indian Veg Recipes and other lactation articles below.